Budapest weather lets everyone delight in something unique and special every season of the year ,as Hungary enjoys a continental climate with 4 distinct seasons with great variety between them . Each period brings its own charms,with traditional festivals and celebrations in Spring, cultural and musical events in Summer, sport tournaments and wine festivals in Autumn and plenty of fairs and winter activities in Winter. Good question! 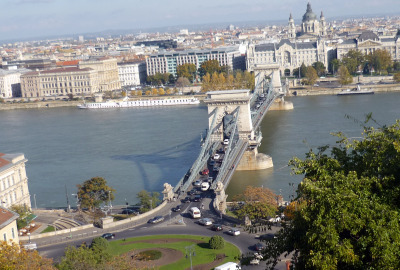 I would say that there is no bad time to visit Budapest since every season offers plenty of attractions and activities , but everything depends on what takes your fancy . July and August are the warmest months, days are sunny and long, temperatures rise greatly (above 32 °C), as do accommodation and flight tickets prices . If you want to enjoy beautiful landscapes, pleasant weather, , music, fine wine and harvest festivals and you want to avoid crowds, come in Spring (April-June) or in Autumn(September-October) . The best time to find great discounts is in Winter when cold temperatures settle in from November until March. During these months days are very cold and short, it may snow often but although the snow usually settles, the snowfall itself is seldom longer than 24 hours. Despite the cold weather, Winter can also be an exciting time to visit Budapest, as there are attractive Christmas markets, indoor festivals, carnivals and Winter sports facilities all around the city. Winter days are short, cloudy and very cold with a minimun average temperatures of -1°C (30°F) but there are often beautiful crisp sunny days and clear blue skies to cheer us up. January is the coldest month, and it usually snows but not for longer than a day or two in a row. Regardless of the cold weather and besides the must -do activities, there are plenty of events to enjoy Budapest during Winter, such as going to outdoor ice rinks, Christmas markets, Spa parties, carnivals, art exhibitions and opera. Winter is also the time for Budapest sales, when department stores, boutiques, even hardware stores clear out items from the previous season and gradually cut prices , with up to 70% off over the course of the sales . Usually Winter sales begin after Christmas and end in mid- February. 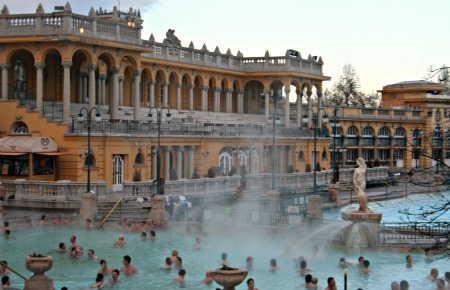 If you are thinking about coming to Budapest in Winter, consider bringing gloves, a scarf, a warm jacket, warm socks, a winter hat, warm and comfortable shoes, especially for sightseeing and shopping, and a bathing suit of course, as you shouldn’t miss the thermal baths!! 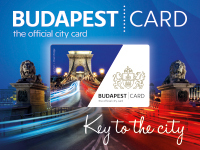 Every Winter the Hungarian Tourism Office, in partnership with some hotels, launches a very attractive promotion to increase the number of visitors in Budapest, called the Budapest Winter Invitation. 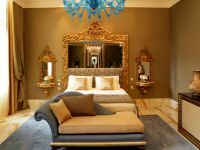 During this time, you can book four nights in any of the partner hotels and you only pay for three, one night being free! Average Temperatures in Winter: December -1/4°C(30/39°F), January -4/1°C (25/34°F), February -2/4°C (28/39°F)These are averages just for reference, although temperatures might be slightly colder or warmer. Spring is the ideal time to visit Budapest, as days are usually sunny, temperatures rise and nature is in full blossom, although we do occasionally get some rain. This is the time when the city awakens with all sorts of festivals and fairs. The Budapest Spring Festival is the major cultural event in the Spring. Every year local and international artists delight us with high standard productions. 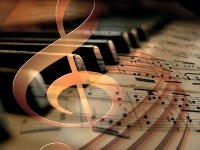 Classical music, Jazz, dance and theatre performances take the city by storm every year during the last two weeks of March. Visit the official website for detailed programmes www.btf.hu. Although Budapest weather in Spring is quite pleasant, I suggest you bring along a warm jacket, and a raincoat as well as your sunglasses. Average Temperatures in Spring : March 2/10°C (36/50°F), April 7/17°C(45/63°F), May 11/22°C (52/72°F) These are averages for reference,although temperatures might be slightly colder or warmer. Despite the burning heat we have in Summer time, this is my favourite season. 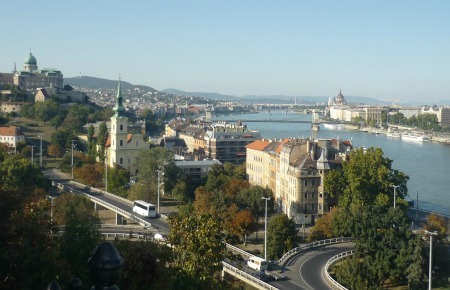 At this time Budapest is intensely warm, days are long and lively with plenty of outdoor activities . Budapest enjoys a long period of sunny days perfect for sun lovers to relax at Margaret Island, to stroll along the Danube, to dine out or to cool down in one of the many outdoor spas and swimming pools in the city. The city also has seemingly endless balmy evenings when locals and visitors alike stay out to enjoy the lively atmosphere . Every Summer Budapest welcomes its visitors with a great variety of concerts, folk, dance, wine and film festivals, art fairs and exhibitions, sports competitions and internationally renowned events like The Hungarian Formula 1 Grand Prix and the Sziget Festival. Budapest weather in the Summer is exciting but let’s face it, the city gets crowded. However, if you don’t mind crowds or hot temperatures, Summer is a good time to come. Don’t forget to pack your sunglasses, a hat, your bathing suit, suncream and a light jacket (June nights can be cool). 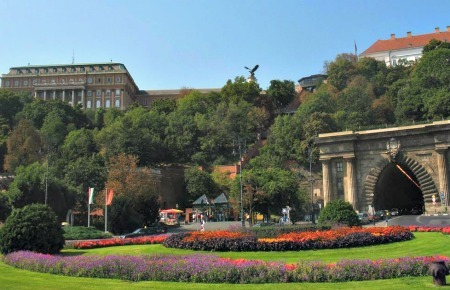 Budapest Average Temperatures in Summer: June 15/26°C (59/79°F), July 16/28°C (61/82°F), August 16/27°C (61/81°F) These are averages just for reference,although temperatures may vary. Budapest weather in Autumn is absolutely gorgeous. Usually, September remains warm and sunny. In October, the air cools down , but there is an Indian Summer and days are still sunny though shorter, while nights are cooler and the trees turn splendid shades of red, brown, orange and gold . In November, falling leaves and chillier nights remind us that Winter is on its way , days become cloudy and grey and temperatures may drop below 0°C during the night. Autumn days are perfect for strolling around the city at any time, as the burning heat of Summer is gone but several events like the Budapest Wine Festival in the Buda Castle and the Budapest Autumn Festival (contemporary film, dance and theatre ) still take place. Although most Autumn days are mild with clear skies, the Budapest weather forecast can be variable, so bring with you a warm jacket, a scarf and a hat just in case. 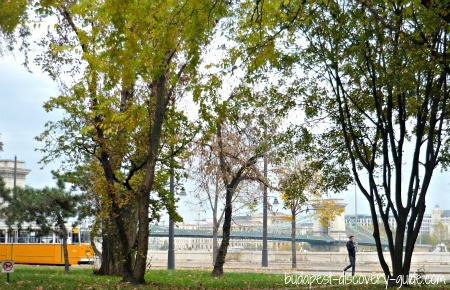 Budapest Average Temperatures in Autumn : September 12/23°C (54/76°F), October 7/16°C (45/61°F) , November 3/8°C (37/46°F) . These are averages for reference, although temperatures might be slightly colder or warmer.